.....saved by His marvelous grace!!! Someone recently commented about me being so open and frank. My precious reader meant that I share my heart....even those things that are there that don't own up to being how a "Jesus girl" should act!!! I've said before that's the only way I know how to be. I certainly can't relate to those people who claim to have it altogether (notice I said "claim"....'cause I don't think they do). I used to envy those people who bragged about their positive attitude and their spotless home and perfect marriage and how they cooked a nutritional meal almost every night with the perfect dessert to go along with it!! Then, one day it dawned on me....yes, I'm a slow learner....just because somebody says something....doesn't mean it's the truth. Speaking truth....even when it doesn't paint a very pretty picture....isn't that what God asks of us? I'm so far from "perfect" that it's sometimes very scary. I get depressed....I am not very trusting of others....I get paranoid wondering what others think of me. But...you know what....Satan is the one planting those thoughts....and I do have a "perfect" part in me....it's Jesus living in my heart!! Thank you, dear Lord....for saving me and continuing to save me....from me!! 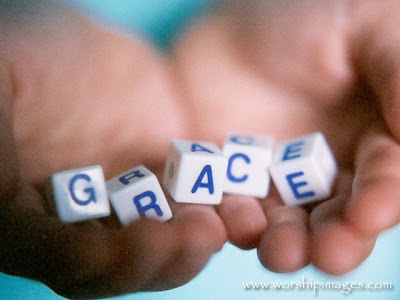 I want to thank you today for your GRACE....and your MERCY....and your LOVE!!! I ask you, dear heavenly Father, to help me to continue to be truthful and to share with others, even those parts of me that I'm not at all proud of....because I know that You can use us....faults and all!!! Thank you so much, Sweet Readers....for your encouragement and your love and your support. I'm looking forward to seeing what our Lord has in store for each of us in the New Year!!! THAT'S ME! And that's "MY" prayer! God bless you, Deb. God bless us everyone! Thank you for this post. I love your honesty. It helps remind me to not be afraid to be honest with myself as well as others. After all God in heaven has yet to be surprised by who I am. Hope you have a wonderful New Year! God's Riches At Christ's Expense! What a wonderful way to remember what Grace really is. I'm sorry but I'm so far from perfect & having it all together that it's scary. I started blogging and journaling to try and get out of my deep depression and not do something rash to myself. By God's GRACE, I'm here. Thanks for this frank post. Your gratitude for the Lord 'saving me from me' touched me heart. Most of the time, I'm my worst enemy. That is a good reminder: that everyone's life is not as perfect as it seems. And even more right that God shows us grace when we fail! Your heart is shining, be blessed.